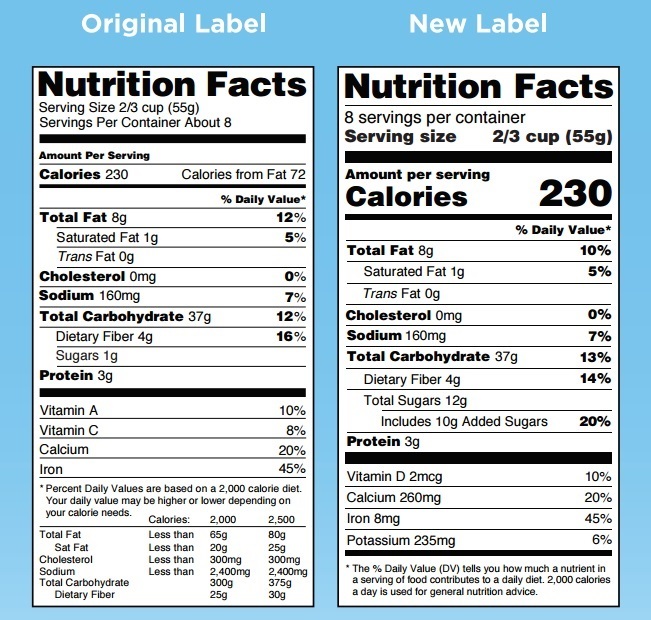 The U.S. Food and Drug Administration released its long-anticipated new food label today. 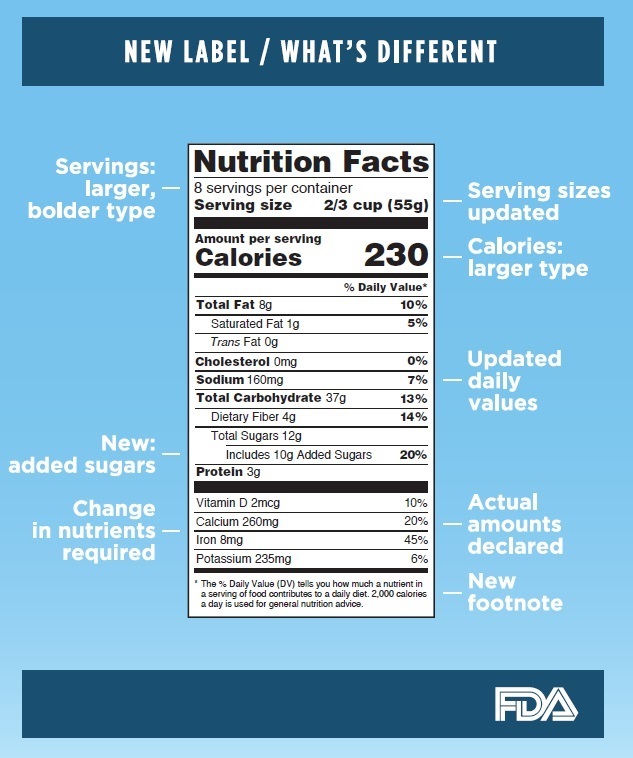 The updated “Nutrition Facts” panels will include new details on how much sugar is added to packaged foods as part of a campaign to help Americans reduce their risk of obesity, diabetes and heart disease. The new label offers several helpful changes for consumers, says Lucette Talamas, registered dietitian, who focuses on community health with Baptist Health South Florida. The high amount of added sugars in the average diet has come under fire from a long list of health advocates, including the American Heart Association, the American Academy of Pediatrics, the Institute of Medicine and the World Health Organization. Those groups recommend decreasing the amount of added sugars consumed each day. With the new label details, consumers now have answers to important questions, Ms. Talamas says. 1) Does this item have added sugar? 2) How much added sugar? 3) What percent of the daily recommended value does the product contain in terms of added sugar? “In addition to added sugars, new nutrients that must be declared include Vitamin D, which is important in bone development, and potassium, which is good for controlling blood pressure; both nutrients of which people aren’t getting enough,” FDA administrator Robert Califf, M.D., said in a blog post. The list of nutrients that are required or permitted to be declared by food manufacturers is being updated. Vitamin D and potassium will be required on the label. Calcium and iron will continue to be required. Vitamins A and C will no longer be required, but can be included on a voluntary basis. The food labels are still required to display “Total Fat,” “Saturated Fat,” and “Trans Fat.” However, “Calories from Fat” is being removed because research shows the type of fat is more important than the amount, the FDA said. Those key pieces of information, Ms. Talamas says, will help consumers make informed decisions while meal planning, food-shopping and calorie counting. Requirements for serving sizes that more closely reflect the amounts of food that people currently eat. By law, the Nutrition Labeling and Education Act, requires that serving sizes be based on what people actually eat.